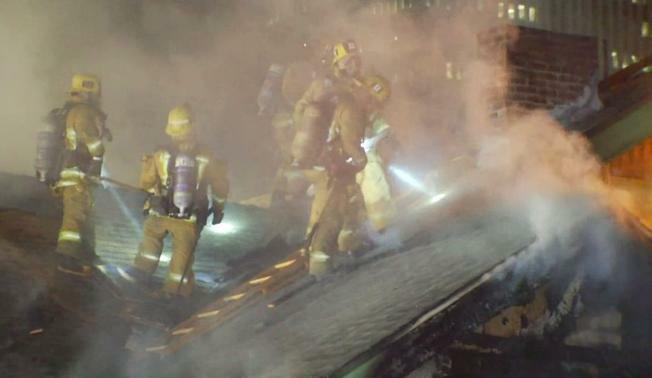 A man was rescued from the roof of a burning 104-year-old house in Koreatown Thursday. He was saved after firefighters responded to the blaze at the 700 block of South Ardmore Avenue at around 8:14 p.m, Los Angeles Fire Department said. 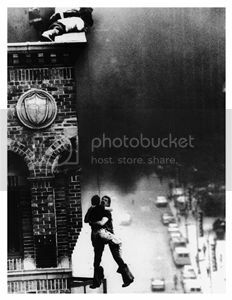 When they arrived they saw the man standing on the roof as heavy flames raged below. He was ushered to safety down a ladder and suffered no injuries. The rescue was carried out as fire ripped through the second floor and attic. Firefighters managed to limit the damage to the old two-story home, which housed a first floor business below the residential living space. They also looked for reported trapped occupants, however no one was found.